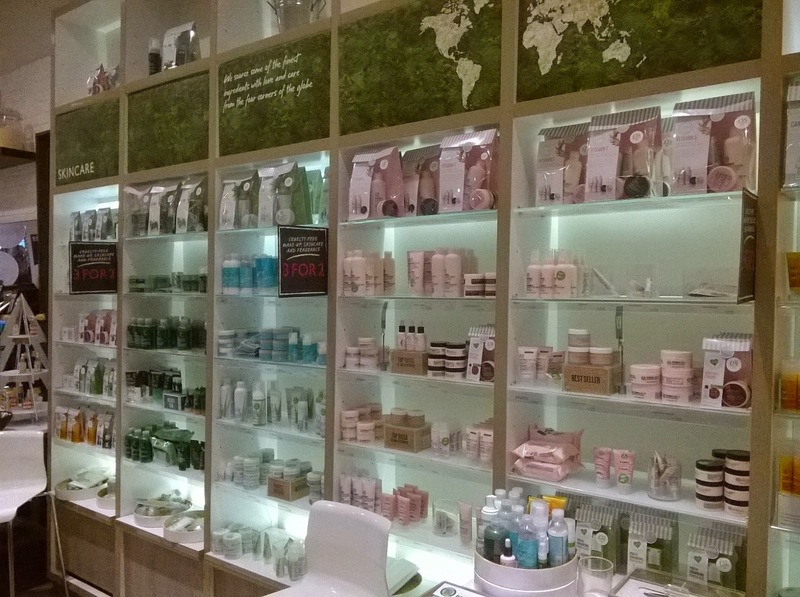 Looking after our Skin is essential, that's why I love The Body Shop. They have a fabulous range of Skincare products for all Skin types. I recently made a trip to Bluewater for a girly day out shopping, it's a straight run on the train from London Bridge. While I was there I popped into The Body Shop and they very kindly gave me a couple of new products to try. They will be coming out very soon so keep an eye out for them! I'm a big lover of Body Butters, they leave your skin feeling super soft and this gorgeous Body Butter from The Smoky Poppy Collection certainly does this, feels absolutely amazing. It's most definitely an indulgent moisturiser which contains hand harvested poppy extracts from Turkey. If you're a fan of flowery woody smells, you will love this! It also provides great hydration for normal Skin. If you have dry Skin then the Hemp Soap on a Rope is perfect for you! It contains community fair trade Hemp seed oil and restores moisture. Hemp is one of the most resourceful plants in the world, consisting of fatty acids that we all need. I found that the soap lathers up really well and feels very silky, it doesn't really have a fragrance, just a soapy smell. The Drops Of Youth Collection has been created for the first signs of ageing, so I asked my Mum if she would like to try out the Bouncy Sleeping Mask samples I was given. This Mask claims to refresh and create smoother looking skin overnight. The mask has extracts of Edelweiss, a plant that is well known in the Skincare industry for having anti-ageing properties. My mum loved it! The mask has a very fresh smell and she has noticed a slight difference in her skin already. The Body Shop currently have a number of offers on so go and grab yourself a bargain! I love the Body Shop. I have a ton of their scrubs and lotions. I need to get back there now to get some of this fun stuff. We do not have one of these by us.. but they are great products from what i just read! The Body Shop is one of the few stores that I actually have in Sweden! 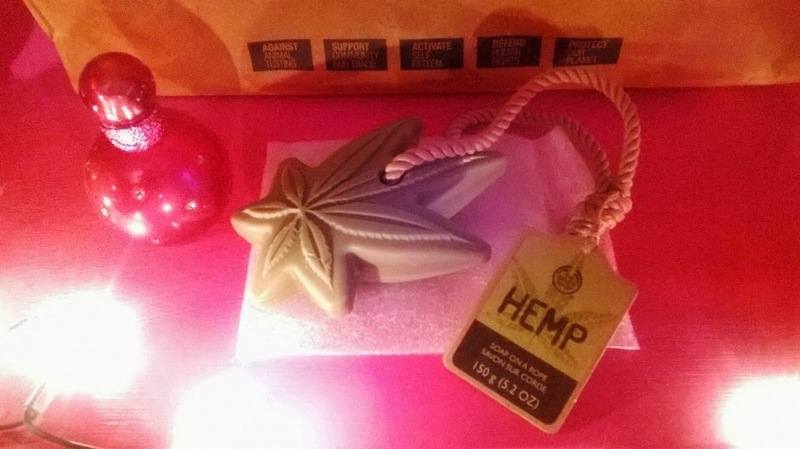 I have pretty dry skin during the winter, so the hemp soap on a rope sounds perfect for me! I love The Body Shop, we have them here in many of the malls. I love many of their creams, soaps and scrubs! 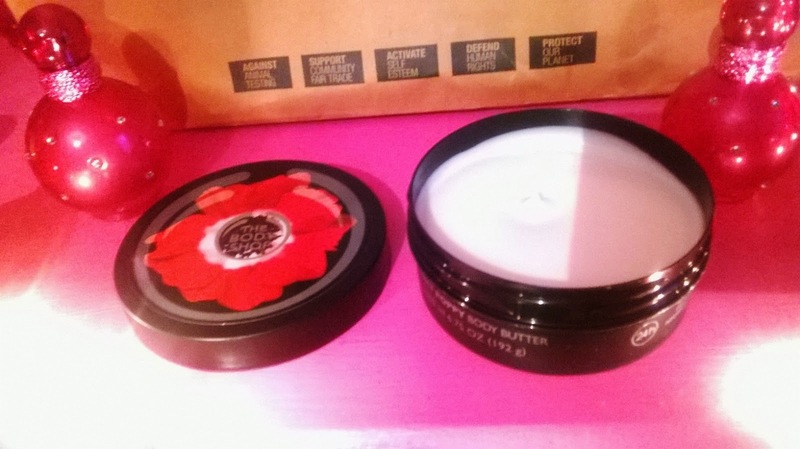 I love The Body Shop body butters, they last for ages and make my skin so soft. I have to check out that new Smoky Poppy one. I love the body shop! I haven't gone in there in ages! But I need to asap! I love the scrubs and that hemp bar on a rope looks amazing! I love the Body Shop! I always stop there and pick up some soap whenever I'm near one. I need to try that body butter- I LOVE body butters. 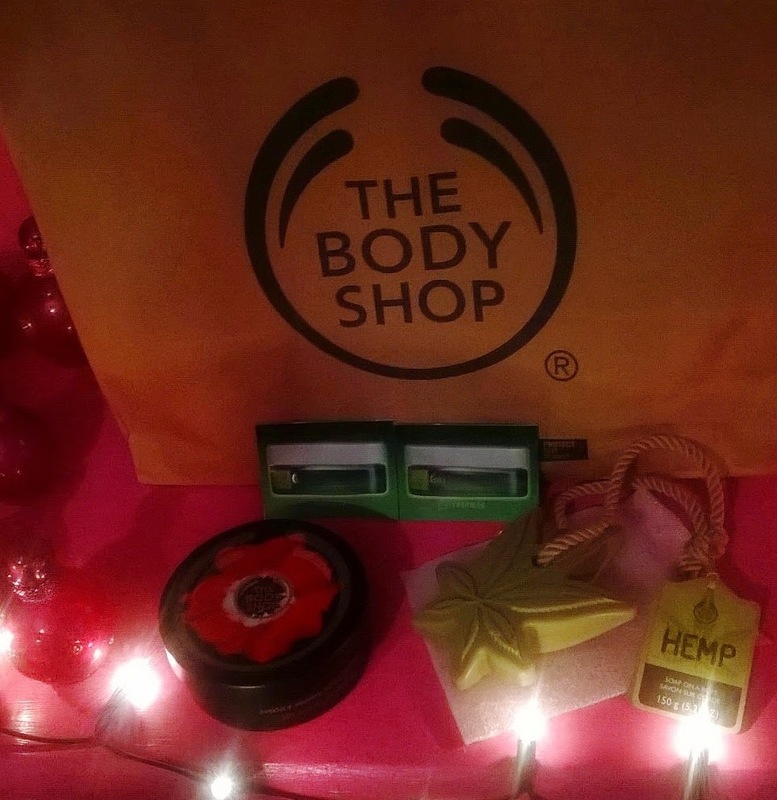 We love the Body Shop and the girls love to see their products in my shopping bag! They have a vanilla lotion that I love. I love to treat myself to some great skin care products. A browse in this store would be heavenly. If you can believe it, I've never been to the Body Shop! I'll have to try them out now! I’ll definitely try that body butter! I have always loved those products from Body Shop. I could use some skin care products and this looks really nice; I love The Body Shop! Oh my what fun stuff. I love skin care products and will check out The Body Shop. I spend a small fortune pampering myself but hey, I'm worth it, lol. Thanks so much for sharing. I love their scents! I have a small collection of their products myself. I need to upgrade for the new year! I got some body butter for Christmas and I just love it! Everything here sounds really good! I have passed by The Body Shop in malls a few times. However, I have never set food inside of one. I am not really sure why. I love the Body Shop, they have wonderful products plus they always have really great sales! Looks like awesome products!!! I will have to check them out when they come out. These look like great products. I will have to let my wife know about them. Gosh. It has been awhile since I've checked everything in their store - makes me want to take a look what products we have on BodyShop here in our country. I have never heard of The Body Shop. It does look like something that I would love to give a try though. I prefer to use unscented products. Too many conflicting fragrances often give me a headache, so I appreciate those that just smell fresh and natural. We actually do not have a body shop in Huntsville; when we go to Atlanta I go to it and just love trying their products. I used to sell Body Shop from home (not for too long). I love their body butter! They have a lot of good products.